But it brought to the forefront of my mind/heart the way that we are so good at blaming victims and addressing symptoms instead of digging deep in search of the root problems. I don’t care how many examples there are of “professional panhandlers” – most homeless human beings don’t “choose to be homeless”. I don’t care how many examples there are of “kids who are out of control” – kids don’t deserve to be neglected or abused. I don’t care how many kids she has by however many fathers – single mothers aren’t the root cause of poverty. I don’t care how frightened or angered or appalled you are by homosexuality (whether its for religious reasons, or not) – people of other sexual orientations are not the cause of broken families and marriages. If we want to find solutions to these very real problems, we need discipline. Because without discipline, we won’t be able to stand looking deep within ourselves (individually and corporately)…at the darkness of greed and selfishness and judgment and rage and fear and lust for power/control that are really at the root of these societal ills. 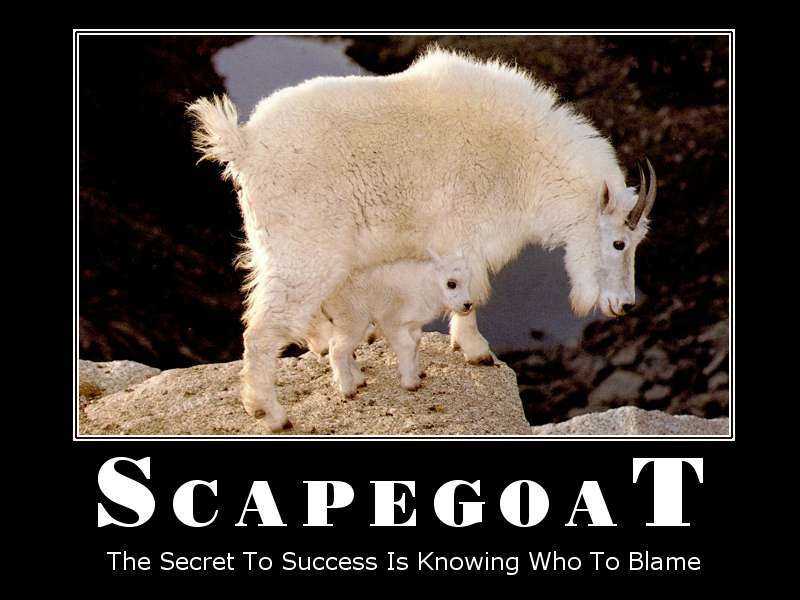 Without discipline, we will find yet another scapegoat to pin the problem on and throw under the bus – and chances are so very good that the scapegoat will be one of the people already devastated by the problem at hand. Without emotional & spiritual discipline, it’s easy to fall into traps set for us by commentators on both sides of the divide. And as long as we spend our energy fighting each other, the more time and space there is for injustice/oppression to spread. Let us be a disciplined, compassionate community that seeks out root problems instead of attacking victims & symptoms. Because, without discipline, we are part of the problem. Your statement regarding the Uncle who said the girls could say know or tell mom…has little understanding of the type of impact this type of abuse causes. More often than not people speak from what they think THEY would/could do and not from a position of knowledge. Connie, you’re right on here. The uncle was speaking from a position of assumption and uninformed judgment rather than a position of knowledge. His statements on this topic stand as a harsh reminder that we should all think before we judge – and before we speak!